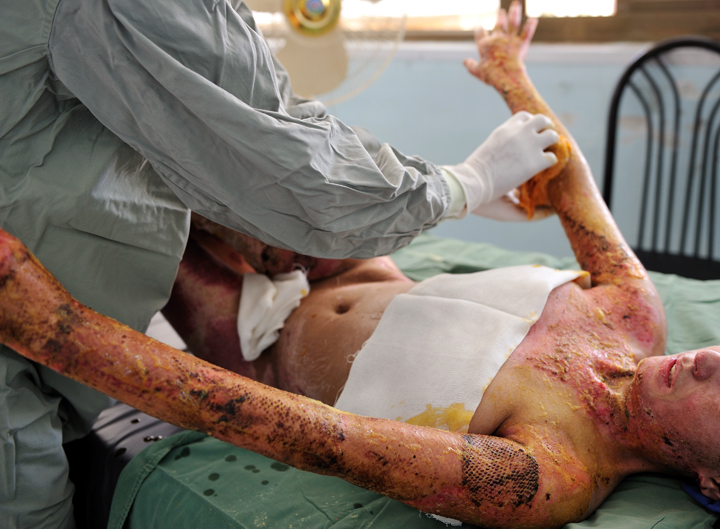 Farzana winces in pain as she has her bandages changed after undergoing skin graft surgery in the burn center of the Herat Regional Hospital in Herat, Afghanistan, August 3, 2010. Farzana tried to commit suicide by self-immolation after being beaten by her in-laws. Farzana and her brother were engaged to two siblings, and when Farzana's brother took another woman, Farzana suffered the wrath of her in-laws as retalliation; she burned herself to escape the abuse.